In our opinion, vests are one of the more overlooked pieces of equipment when it comes to fly fishing. While it's still up to you to know about he species you're fishing, the local conditions, rod/reel/fly selections, etc, having a best fly fishing vests can maximize the amount of time you spend casting, allowing you to get the most out of your day. Fly fishing vests are essentially more convenient tackle boxes. Most fly fishing vests are quite robust and include lots of pockets, allowing you to have spare equipment, a range of flies, and other tools that may come in handy while you're casting. You may not always need one, but they are the sort of thing that once you start using it, it's tough to head out without one. While the equipment storage is a huge benefit, this will also add weight to your body and potentially undesirable layers, which can be a particular problem if you're fishing in a hot and humid environment. 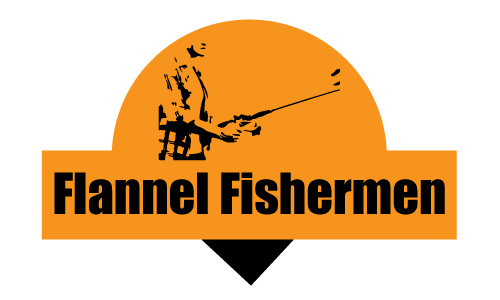 With the advancement in sporting apparel, especially in the fishing world, companies have now begun addressing this appropriately, and there is a huge range of fishing vests you can choose from all varying in quality, comfort, design, and function. In this article we will provide our top picks for the best fly fishing vests on the market. Provided your own personal preferences may differ drastically from someone else, we will attempt to highlight vests from a range of price points. This can help with understanding subtle differences in features, but the main purpose of this to allow you to feel confident about your final selection, whatever it ends up being. Zippers can be difficult to use, especially with one hand. This is your intro level fly fishing vest that gets the job done. While it can be considered an introductory vest, anglers of all experience can benefit wear this. Nothing fancy, but has all of the primary necessities. With 11 pockets, there is certainly ample storage. The pockets aren't overly deep though, so if you're keen on taking larger items like jars of Powerbait with you, then you may need to look for a vest with deeper pockets. Otherwise, for flies, lures, and items just slightly bigger, then this does the trick. The main complaint about this vest are inconsistencies in the quality of the velcro and zippers on the front pockets. Not everyone has this issue, but the zippers in particular can be a little tricky to work with one hand. Overall, this Redington fly fishing vest offers superb value. For the price, you can't really find much better than this. The mesh and quick-dry fabric (65% polyester, 35% cotton) allows for good ventilation and doesn't bog you down too much. Lots of pockets, and even with some subtle zipper issues, it's still a great vest. 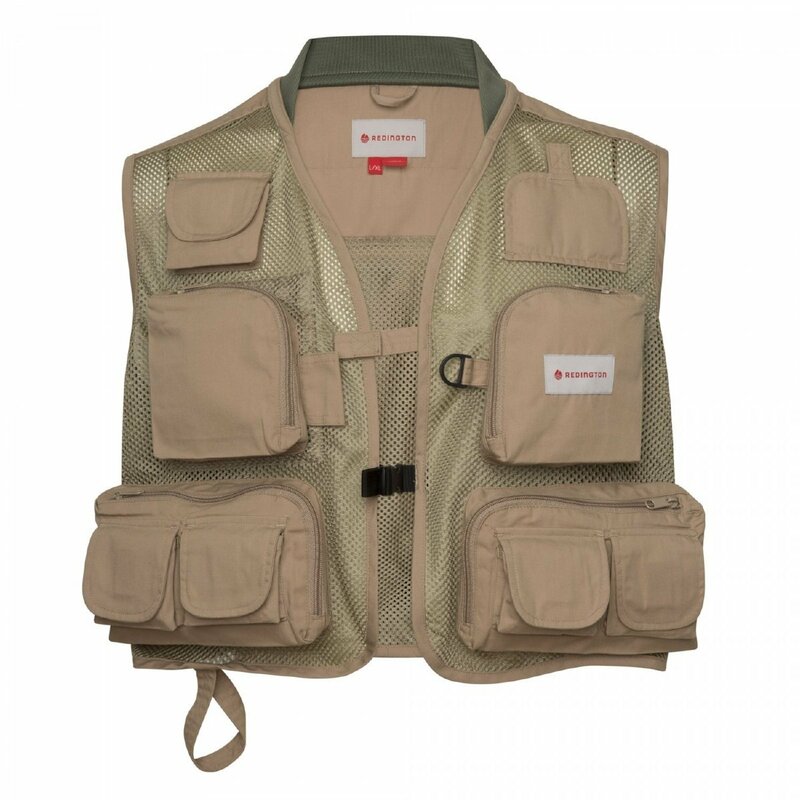 We would recommend the Redington Clark Fork Mesh fly fishing vest for any angler looking to optimize storage of equipment while keeping costs as low as possible. Front pliers pocket, rod holder, removable patch, and D-ring secure nets. This is an awesome fly fishing vest that offers solid value. This has lots of extra features, and for a small step up in price, it's definitely worth considering. For example, not only does it have 27 pockets, but some of the pockets are designed for specific tools, enhancing comfort and convenience. The outer material is a blend of 60% cotton/40% polyester, and the lining is 100% polyester. It's not too bad for ventilation, but it could definitely be better, especially if you plan to spend a lot of time under the sun or in a humid environment. If keeping warm is a little more important to you, then this could actually be considered an advantage. Some of the pockets are quite substantial on this vest, so you could even pack something like a thin raincoat. Regardless, there is plenty of room for storage with a variety of compartment sizes, allowing you to bring an ample supply of fly boxes, thermometers, and other tools. One of the underrated aspects is the rod holder, which allows you to dress flies or fiddle with your line or other things without worrying about your rod. Overall, we would recommend the Prestige Alpine fly fishing vest to any angler, but especially those who are placing an emphasis on storage. The value is definitely there, as it comes in on the cheaper end of fly fishing vests, while still offering excellent quality and function. If you're placing a heavy emphasis on ventilation and staying cool, you may want to look around a little more, but overall, it's tough to go wrong with this vest. For the price, a little disappointed they didn't include any 100% waterproof pockets. Now we're starting to get a little more fancy. The Maxcatch fly fishing vest is great, but it comes at a slightly higher price (almost twice as much as the Redington vest we reviewed). However, the quality is certainly there, and there are two styles you can choose from to help optimize for your requirements. The two different styles are called "V-mesh vest" and "V-pop backpack". The latter is about $10 more expensive, which makes sense since there is more material involved. The V-mesh vest is the one in the above picture, and it has all the necessities including a rod holder and a hook on the back for a net, as well as a mesh back that helps keep you cool. On the other hand, if you want to maximize storage and don't need to fully maximize ventilation on your back, you can also opt for the slightly more expensive V-pop backpack. Instead of a simple mesh back, this vest includes an expandable 3-comportment backpack. The adjustable straps and waist belt help you optimize the fit for comfort, while it's lightweight material doesn't add too much in addition to the front pockets. Overall, we would recommend the Maxcatch fly fishing vest for those looking for something with more storage on the back (if you get the V-pop backpack style), those looking for a highly adjustable fit, or those curious about trying a higher-end fly fishing vest. The moderate price range means it's not the best for those on strict budgets, but if you're looking to branch out a little bit and are expecting something slightly more expensive, then this could be a great starting point. The AnglaTech 2016 fly fishing vests is highly functional and constructed with high quality Ripstop Nylon. This vest has some specific features can make it highly desirable for many, but not all anglers. The first clear advantage of this vest are the two waterproof front pockets, which surprisingly enough, aren't found on that many fishing vests. However, they could have also incorporated more pockets in general. The adjustable design is great, but really tall people have found they could benefit from another inch or two in strap length. 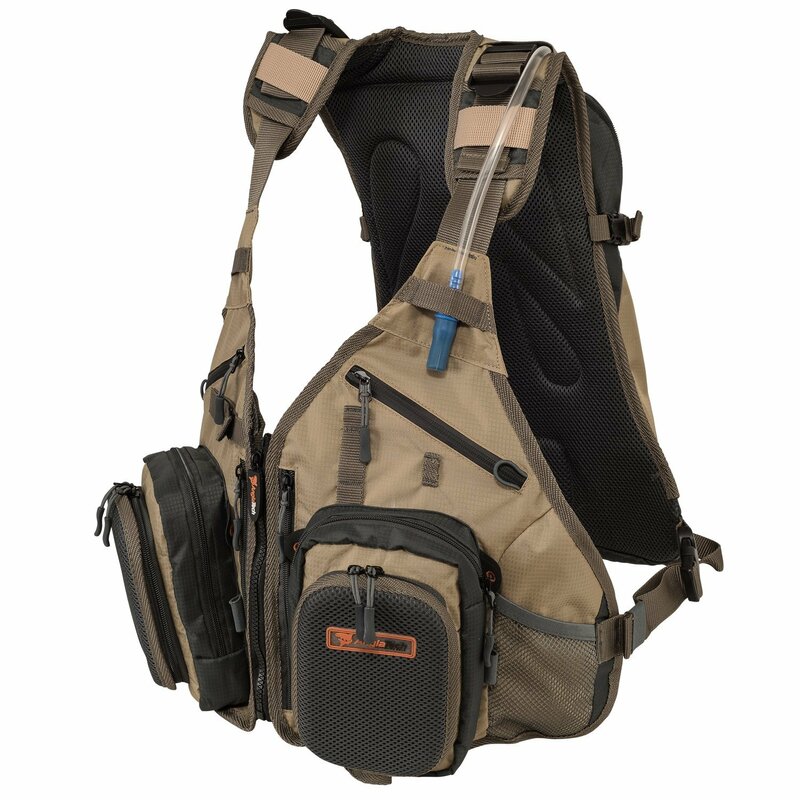 The hydration water bladder is an awesome feature included in this fishing vest, and can be great for spending long periods of time on the water. Easy casting, easy drinking! However, one thing to think about is that when it's full it will be a little bit heavier and hotter. It also decreases the ventilation a little bit, as the back isn't a pure mesh due to the accommodation of the water bladder. Overall, this is a really cool fly fishing vest that many anglers could benefit from. It's one of the more expensive vests out there, but the quality construction, water bladder, waterproof pockets, and adjustability can make it a great choice for many anglers. 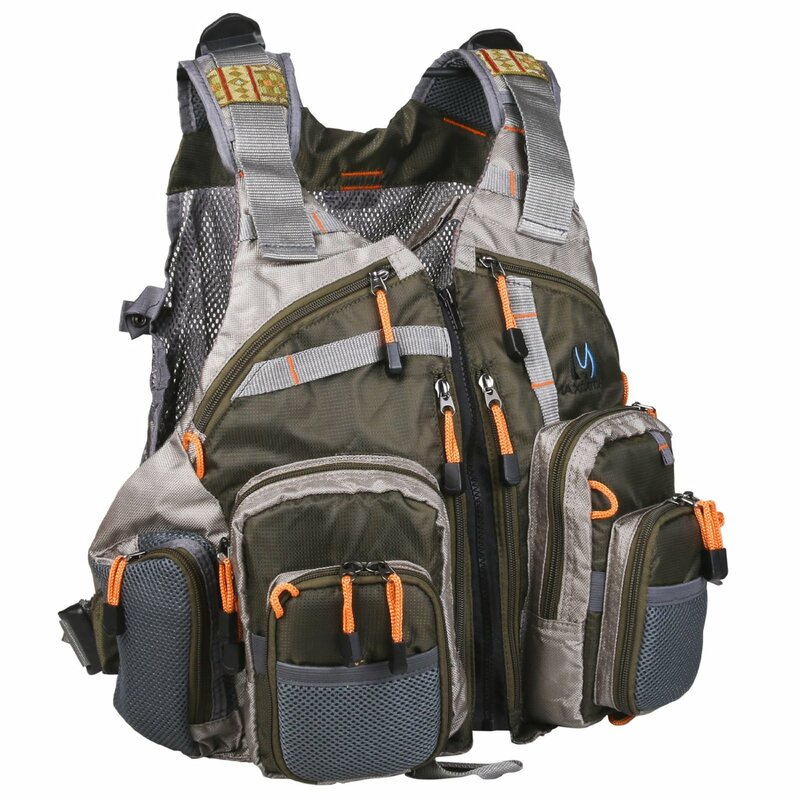 Therefore, we would recommend the AnglaTech 2016 fly fishing vest for those looking for convenient hydration, waterproof pockets, and adjustable straps. Those looking to stick to a mroe strict budget are probably better off sticking with something cheaper. Like anything else, finding the best fly fishing vest can be a difficult task because it depends completely on your own personal preferences, and of course, what type of budget you have to play with. In this section we will discuss some of the more important things to look for in a fly fishing vest, hopefully allowing you to narrow your selection. When you're looking for a fly fishing vest, they will all have pockets, but the amount and design of pockets can vary dramatically from vest to vest. Most people just look at how many pockets there are, assuming the more the better, and usually there isn't anything wrong with this. However, sometimes having fewer pockets that are better-designed pockets can be more beneficial than tons of pockets that you won't really use. When looking at the pockets specifically, make sure there is a range in size, with at least one or two pockets being deep enough for a thin raincoat or any larger item that you already know you will want to bring along with you. Also, many vests come with pockets designed for a specific purpose, which can be quite convenient. For example, some vests will have fold-out pockets for convenient storage of tackle, or pockets with hooks and rings for things like pliers, nets, or even hydration packs. Lastly, if you plan on bringing any water-sensitive electronics in your vest, it may be best to try and find one that has at least one or two waterproof pockets. Most fly fishing vests, especially on the lower end of the price range, don't actually come with waterproof pockets (that is, waterproof enough to keep your things dry if you completely fall in), so don't forget to account for that. Most vests are a blend of cotton and polyester, usually incorporating some amount of mesh paneling as well. If you're looking for something simple that is extremely lightweight and has good ventilation, then you may want something with more mesh incorporated into to design. Specifically, if the back is mesh, then the ventilation will be way better than most vests, but your storage may be limited and the vest may not be suitable for colder conditions. Some best fly fishing vests come with pockets on the back, or even incorporate a backpack style design that compliments the front pockets. These vests tend to be less breathable since they are using the cotton/polyester blend for the pockets/compartments, and less mesh paneling. The benefit in this case is more storage capabilities, and more insulation could help in cold conditions. This may not apply to everyone, especially those looking for something basic or cheap, but if you have a strong personal preference for something specific, you should be able to find a brand that will accommodate your needs. One extra feature that lots of people desire is a built-in hydration pack (like a CamelBak). These can be found on higher-end fly fishing vests and are certainly convenient, especially if you're spending long periods of time on the water. However, one thing to keep in min in this case is that added weight to the vest. If you fill a 1.5 litre pack with water, then you are looking at an additional 1.5 kg or 3.3 lbs. Last, but not least, like anything else it's always crucial to evaluate your conditions and any other local factors that may affect your decision. If you're fishing in hot humid weather, look for something lighter and more breathable. If you're in cold conditions, then you may want something more insulating. This is pretty simply, but where it gets a little more tricky is with sizing. If you plan on fishing in colder conditions where you know you will have thick or multiple layers on underneath the vest, you will want to account for this as well. If you have your eye on a particular fly fishing vest, double check some of the customer reviews to see what they say about sizing. Maybe you will have to go one size up to accommodate extra clothing underneath, but some vests run a little larger than others, so this isn't always necessary. Overall, don't be too worried about making a wrong decision, especially if it's the first fishing vest that you're acquiring. Even if it's not perfect, you will gain a much stronger sense of your personal preferences and what actually makes a difference for you on the water. The vast majority of vests will offer some form of increased convenience for you, so as long as you put a little bit of thought into your purchase, you will likely be happy with the results.